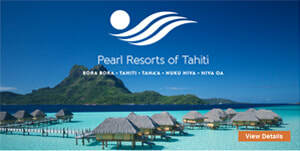 Barefoot Luxury in Tahiti with Classic Vacations - Fugazi Travel Agency Inc. Located on secluded Motu Tautau, Le Taha`a Island Resort & Spa faces the island of Taha`a on one side, and the silhouette of Bora Bora on the other. 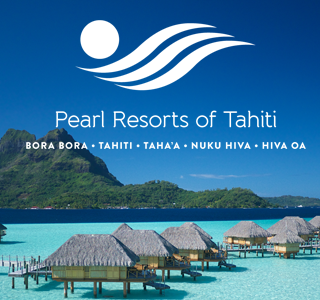 Bora Bora Pearl Beach Resort & Spa is on a coral Islet facing the iconic Mount Otemanu. Overwater bungalows suspended over the lagoon, private beach villas, inspired cuisine, coral gardens, and the Tavai Spa make these resorts a true barefoot-luxury experience. © 2017 Classic Vacations, LLC. All rights reserved. Classic Vacations, Classic, Classic Europe, Classic Hawaii, Classic Mexico, Classic Caribbean. Defining Luxury Travel and the Bird of Paradise logo are either registered trademarks or trademarks of Classic Vacations, LLC, in the U.S. and/or other countries. Other logos or product and company names mentioned herein may be property of their respective owners.